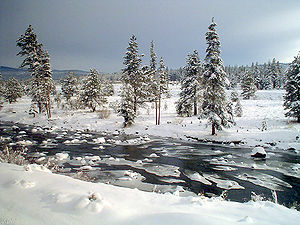 Truckee, CA…Bureau of Reclamation Commissioner Brenda Burman announced today that Reclamation has selected three projects in Truckee River and Carson River Basins to receive $179,872 for small-scale water efficiency projects. The funding from Reclamation will assist the selected applicants with upgrading and installing equipment for improved water use efficiency. The South Tahoe Public Utility District will receive $75,000 to put toward its Pressure Reducing Valve Supervisory Control and Data Acquisition Improvements Project. Funds will be used to upgrade equipment at the Pioneer Trail/Marshall Pressure Reducing Valve Station, including the installation of status and alarms signals, and integration into the existing supervisory control and data acquisition system. These upgrades will enable real-time monitoring of the PRV station, which will allow the District to better control the use of its water and increase water efficiency. A 2016 Water System Optimization Plan identifies PRV replacements and reliability improvements as a high priority. The Tahoe City Public Utility District will receive $75,000 for its Timberland Municipal Water Meter Installation Project. Funds will be used to install advanced metering infrastructure meters on 100 municipal connections, extending automatic metering to its entire water distribution system. The project is listed on the District’s short-term priority improvement list, approved by its Board in April 2018. The Walker River Irrigation District in Yerington, Nevada, will receive $29,872 for a small-scale water efficiency project. They will use its funding toward Phase II of its Saroni Canal Water Conservation Project. They will install four cross-regulating structures on the Saroni Canal. The project will minimize water loss and increase water efficiency and delivery. Funding is provided to projects on a 50-percent cost-share. A complete list of the projects selected is available at: https://www.usbr.gov/watersmart/swep/. Small-Scale Water Efficiency Projects are part of Reclamation’s WaterSMART Program. The program aims to improve water conservation and reliability, helping water resource managers make sound decisions about water use. Learn more at https://www.usbr.gov/watersmart/swep/.